As plain as it sounds, this cafe is simple, straightforward and minimalistic. 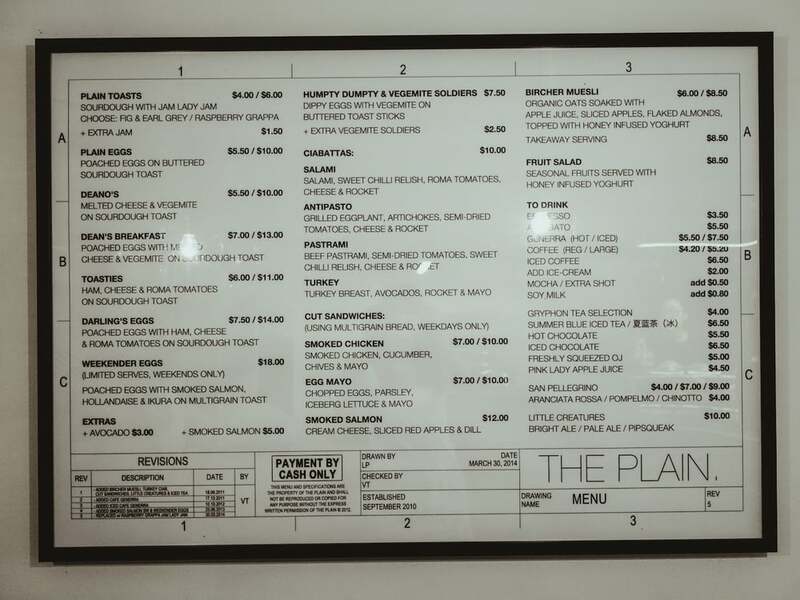 The Plain sits quietly at one of the shop houses along Craig Road, but it is one of those cafes that everyone knows about. With its beautiful interior and satisfiable offerings, it has every aspect to be likeable. Since the store front is black and can go easily unnoticeable, they cleverly placed a bright colour cushy sofa at the entrance, giving a pleasant welcome to first timers. The grey washed walls and dark colours further displayed the character of the cafe. Fine lines, symmetries and textures that your eyes cannot resist. Simple sandwich for a simple lunch. This was the Smoked Chicken sandwich, at half size. To be honest there isn’t much to rave about, just something quick to fill the stomach. Had a craving for an Affogato and the order was still a gamble for me after a bad experience at another cafe. I am glad to say that this has reinstated my confidence. The espresso shot was not too acidic and the mixture had a great balance in taste. This is probably one of the most affordable Affogato around. It was a lovely place for mood therapy and a simple meal. Other than that, it makes a great place to spend the hours and chill with friends in intimate chats.